ICE is one of the worst drugs to hit Melbourne and the rest of Victoria in the past 20 years. The psychological and physical turmoil that it brings in a short space of time is simply incredible. There’s little that compares to its negative effects on the user, the family and the environment. Depression, anxiety and the financial cost are just some of the main problems associated with use. Daniel Andrews, the current Premier of Victoria has said that there’s 80,000 ICE users in the state (1). These numbers have increased in the past 8 years due to its increased overseas importation. In previous years, the drug was mainly manufactured in local labs, now it’s coming from overseas which increases the problem (2). If you are looking to help yourself, or a loved one, quitting is the only possible option. Caffeine has been shown to promote a positive mood state for a period of time. The problem is, as with most stimulants, coffee drinkers will often experience a ‘crash’. This ‘crash’ can range from a deep sense of tiredness, to an inability to concentrate. Now with ICE, the effects are 100 times worse. People initially experience an incredible high. Feelings of euphoria and clarity persist until there’s this ‘crash’. This crash has been described by users as pure hell. They need another hit to feel better. This is the horrible ICE cycle. The first step to end the addiction is a decision on your part, or that of your loved one to quit. It is important that once the decision has been made, rapid movements are made to seek help from your GP and or medical specialist or centre. GPs and or specialists are able to provide real, evidence based advice on how to move forward with the decision to quit. Doctors will likely suggest detoxification and the approach to take. ICE detoxification will need to be performed at hospital or a reputable treatment facility. The process of withdrawal can be quite uncomfortable which is why the process has to be medically managed. Common symptoms experienced during the withdrawal phase include: mood swings, a jittery state, chest and body aches, weight loss, high anxiety and depression. The process can be extremely stressful on the body and it increases the chances of other medical problems such as seizures and strokes. Again, this is another reason why this process has to be medically managed. Depending on the length of time of use, the process of ICE detoxification can last a number of weeks. It is important that before moving onto public or private rehab, the health of the individual seeking treatment has stabilized post detox. One of the major benefits of ICE rehabilitation is that you are moved into a new environment without the normal triggers associated with ICE usage and the former life. I’ve written an article on the subject of choosing a rehab which can be found here. Since each person suffering from an ICE addiction is different, it’s important that the rehab programs are individualised to some degree. Platforms of group classes, education, quality diet and exercise are very important but it’s essential to also understand the basis for each individual’s story on how they ended up on the addiction path. Without that, we cannot learn from the traps of the past to prevent relapse. 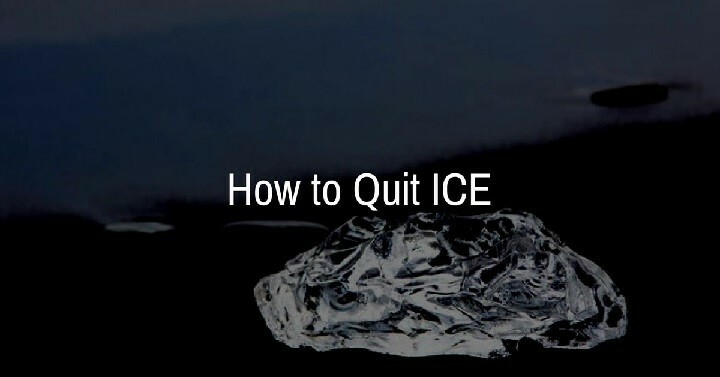 Most rehab treatment programs for ICE are offered on a 30 day basis. Each case is different but as a general guide, the more time spent in rehab, the better chance of recovery. It generally takes 66 days on average to change a habit. This should be taken into account when considering the time needed to be spent in rehab. Relapse prevention is the number one focus throughout the recovery and this doesn’t end when you leave an inpatient program. Rehabs will normally offer outpatient group and counselling sessions designed to educate and prevent relapse. The skills learned and reinforced through these programs are hugely important for long term recovery. It is why recovery should be seen as a long term process with no fixed end date. How Much Does ICE Rehab Cost? We’ve written a much larger article on the subject which can be found here. It’s important to note that most rehab programs offer discounts in the event you’re looking to stay for longer than 30 days which is often the suggestion. We also offer rebates on unutilised portions for peace of mind. If you are interesting in seeking more information about private rehabilitation for ICE, you’re more than welcome to contact Barbara and her team. If you would like to tour our residence to get a better sense of the rehab process, you’re also more than welcome. Please call the team today on 03 9826 0949.